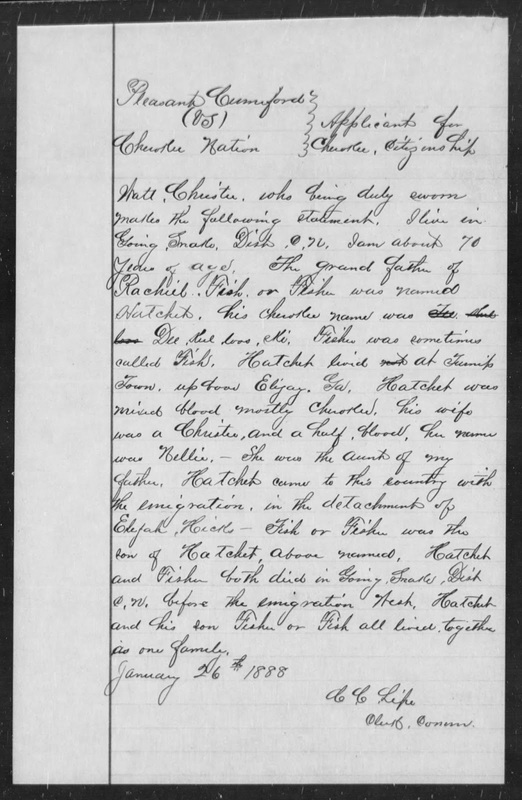 Those who applied for citizenship in the Cherokee Nation had to prove their relationship to an ancestor on one of the four rolls mentioned above. It wasn't an option, but instead a requirement. 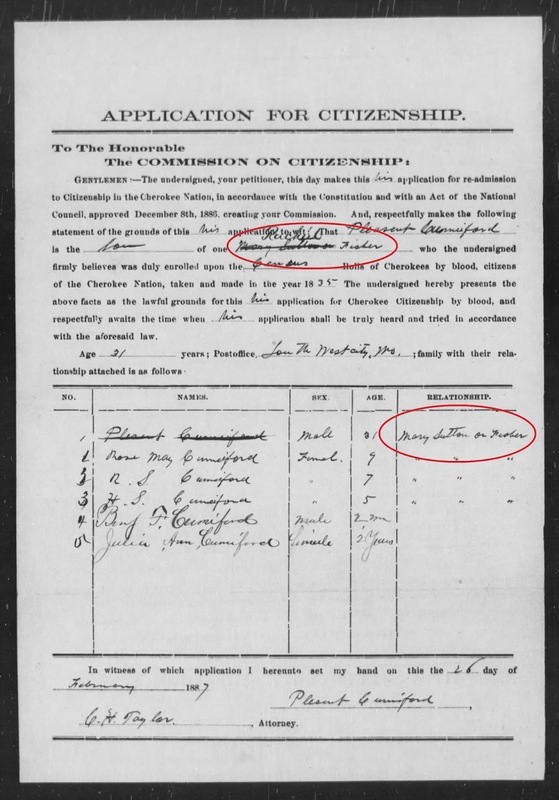 Cumiford originally filled out his citizenship claim using the name of his actual mother, Mary Sitton. 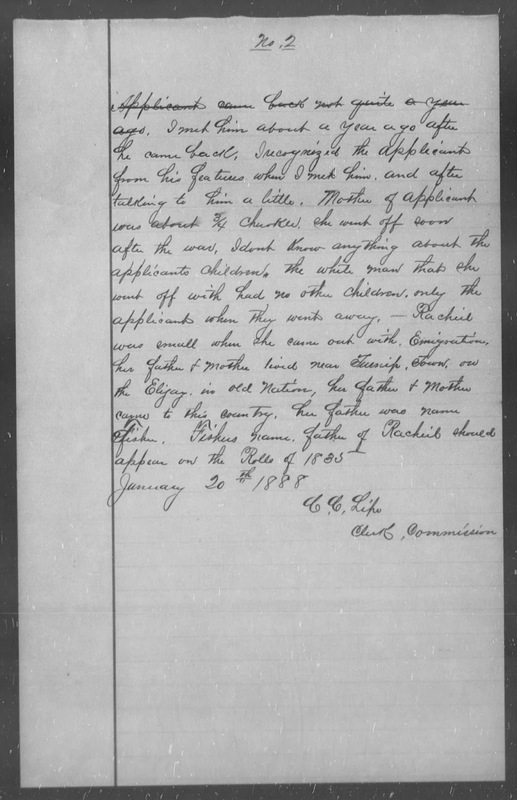 The problem was, Mary Sitton's name wasn't on any of the Cherokee rolls. Without a name on the roll, Cumiford's citizenship claim would have been denied. 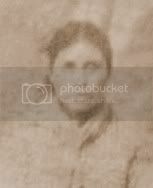 At some point in time, after filling out his claim forms and prior to his hearing before the citizenship court, Cumiford began to claim through Rachel Fisher instead of his mother, Mary Sitton. Notice how Mary's name is crossed through and Rachel's is written instead. It's unclear if Cumiford decided to claim through Rachel Fisher before or after talking to Watt Christie, but it's clear Cumiford never would have been admitted if not for Christie's testimony. As shown in his testimony, Cumiford knew very little about the Fisher family. Compare that to all the information Christie shared about the Fisher family in two different testimonies. Anyone could look at the rolls and find a name, but it took more than that to gain citizenship. A claimant needed others to testify they were actually Cherokee but Cumiford couldn't find honest people to testify. He was making a false claim. This is why Watt Christie became important to him. Christie got on the stand and under sworn oath, lied. The plan appears to have been well orchestrated. Rachel Fisher was Cumiford's mother. Cumiford was born in the Cherokee Nation. Cumiford was taken out of the Cherokee Nation, after the Civil War, when he was about 7 years old. If two people tell the same story and it proves true, no harm, no foul; but if two people tell the same story and it proves false, then there had to be some planning involved. It is not a stretch to believe Watt Christie and Pleasant Cumiford conspired to defraud the Cherokee Nation. Christie's role didn't stop there. 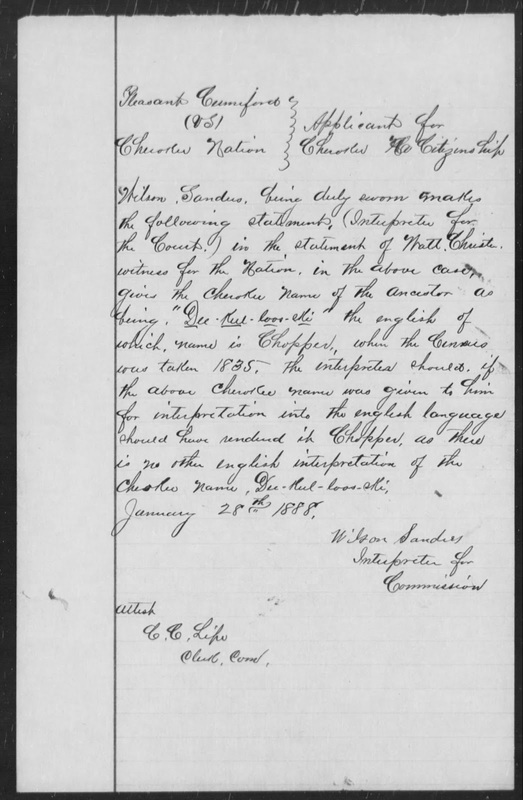 He also made a point to say Rachel Fisher's name should appear on the Rolls of 1852 and he later gave the name of Rachel's grandfather in Cherokee so it could be found on the Roll of 1835. 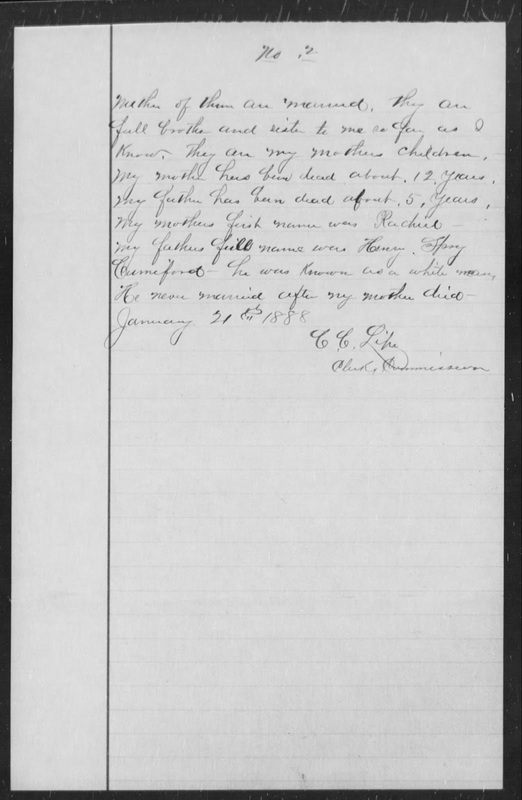 The name Fisher is not found on the Roll of 1835. It appears the citizenship court wanted to find the family on more than one roll so they recalled Christie to the stand for more information (second testimony). 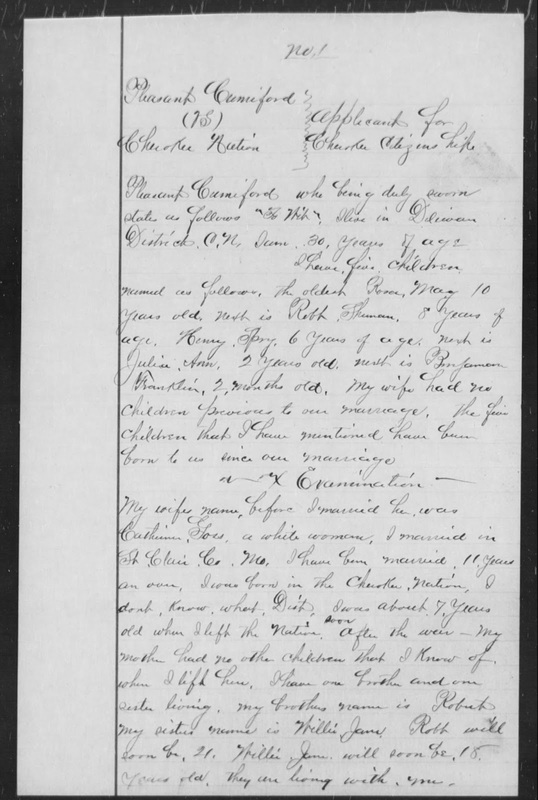 Christie explained the family lived together (so only one head of household would be on the Roll of 1835.) He offered the name Hatchet and a Cherokee name, Dee kul loos ki. There is no Hatchet on the Roll of 1835. The court put an interpreter on the stand who explained the Cherokee name would have been recorded as Chopper. There was a Chopper, living on the Ellijay, near Turnip Town. Cumiford might have been able to pull a name from the Drennen Roll on his own, but he never could have linked that name to the name Chopper on the Roll of 1835. 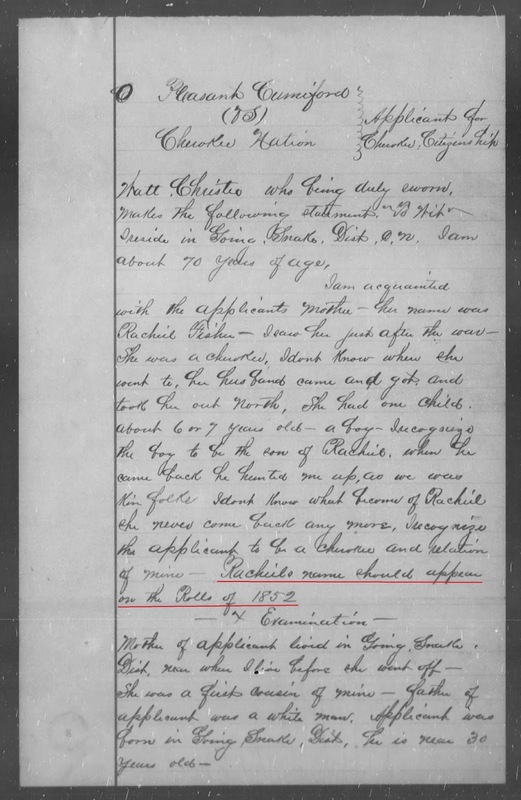 He might have found other witnesses, but those witnesses never could have linked Rachel Fisher to her family listed on the Roll of 1835 either. Only a Cherokee with intimate knowledge of the family and who was willing to lie could have helped Cumiford get his claim approved. This is the reason the standing witness testimonies were harmful. While non-Cherokee witnesses could lie, they couldn't provide details that would get the citizenship court to believe those lies. A Cherokee could. Watt Christie proved that. 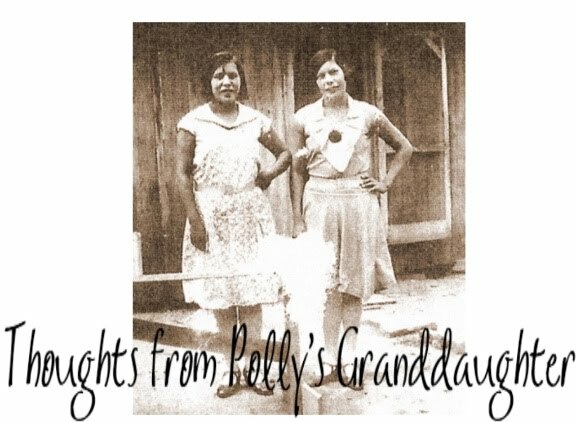 Stay tuned for the next installments in this series for more about the Fisher family; why the standing witness testimonies are harmful; and why we as Cherokees should care. Looking at the date of the original Application for Citizenship looks like it was changed later when the Mary Sitton wasnt going to work. It looks self explanatory now but youve layed it out so well... I guess it just takes someone who wants to look.. Understanding that throughout our history that there were just some things that werent pretty. All of the wrongs done werent always done by the whites and that some of our own poeple did things they shouldnt have. We Cannot keep the perception that all of our ancestors were angels. Thanks for bringing this forward and the work you do.